I’ve been really busy for the past couple of years helping my Art Director friend Terry Ackland-Snow to write a book about working in the film Art Department. 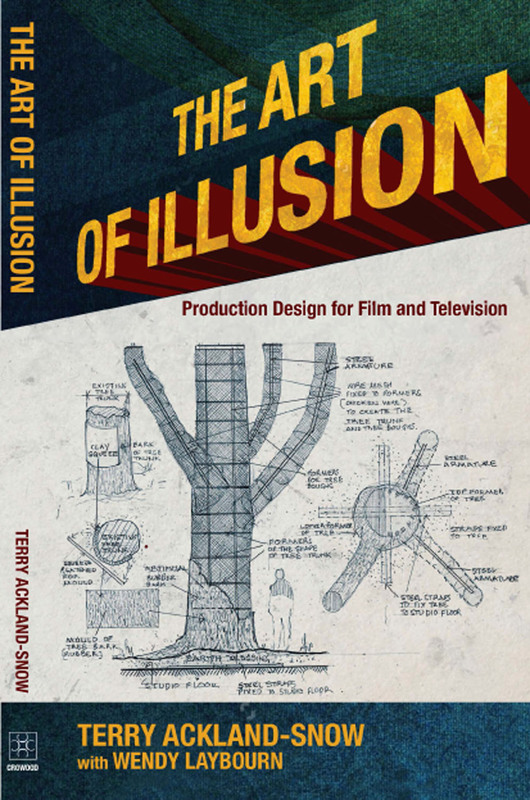 We decided to call it The Art of Illusion: Production Design for Film & Television because illusion is what making a film or a television programme is all about – what the audience sees on the screen isn’t altogether real! Like all good things, this project was started over a glass of wine. Maybe I should think twice next time – but I’ve really enjoyed working with Terry and helping him to pull this whole thing together. Essentially, the book is aimed at anyone wanting to make a career in film production and it will take you through the processes involved in creating a film set step by step. Film sets have been constantly developing from the simple canvas backcloths used on theatre stages, right through to the present day where computer generated effects augment the highly sophisticated art of designing, building and dressing sets. © Wendy Laybourn and Network Nine News, 2007 to date. Unauthorized use and/or duplication of this material without express and written permission from this blog’s author and/or owner is strictly prohibited. Excerpts and links may be used, provided that full and clear credit is given to Wendy Laybourn and Network Nine News with appropriate and specific direction to the original content.